Photo: Limited to a couple of minutes for her speech, Andrea Jacob is rushing through the accusation and stopped by the Chairwoman in order to enable the interpreters to keep up with the speed. Brussels. 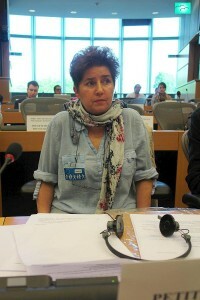 Andrea Jacob only had a couple of minutes to reveal the violence against the Human Rights of children, parents, single parents and grand parents in Germany. I am speaking in German since the violence against Human Rights is taking place in Germany. The representatives of parents are ready to submit more than 1000 cases of wrongful violence against the Human Rights of children and parents, if you give us the chance. Insufficient legal supervision by the evidence of my case and more than 1000 cases mentioned. 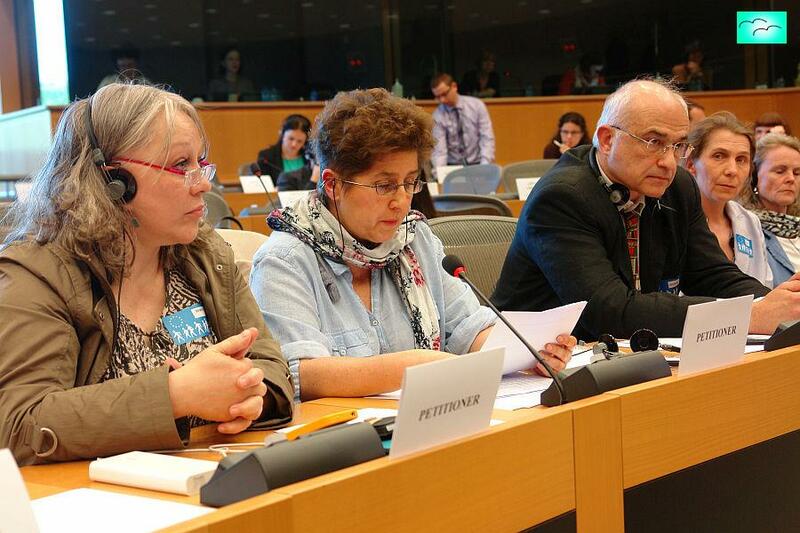 In Germany children are forced into isolation of their parents, in several cased with violence. This results into dramatic consequences concerning the health of children and parents. The study of Fabricius et al. (2012) has shown that the loss of contact results into physical and psychic losses. The children’s health is endangered by permanent stress caused by the absence of his/her caregiver. The stress-reaction-system is activated if close caregivers are out of reach. These children live under ‚permanent stress“. Chronic stress leads to damage of the organs, the vital systems, which results into serious long-term health problems. Appeal from ARCHE: Study to detect the isolation of children from their parents. 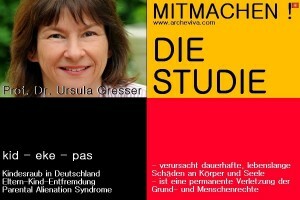 Prof. Dr. Ursula Gresser. The internist Professor Dr. Dr. Ursula Gresser is researching if forced isolation of children and parents results into health problems. First results are showing that mainly isolation leads to serious long-term problems in the health of children and parents. The situations described by the persons concerned fulfill the statement of facts of torture according to the UN Convention against Torture. The situation is war-like. 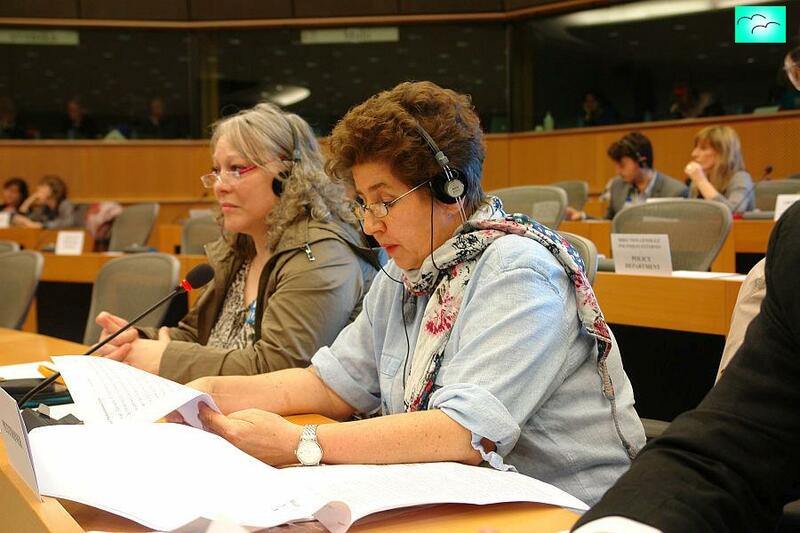 In many cases parents with a migration background are victims of forced parent-child-isolation. A significant tribute is granted the Media who have reported in many cases of severe statutory violations by the Children’s Welfare Office (Jugendamt) and German Justice. There is information that within Germany a kind of child trafficking has developed wherein profit plays the main role through Mafia like networks. In Munich a female lawyer reported how she could use the network to isolate a child from a single parent and how much profit can be gained. This speech is available in the internet. She accuses Germany. Andrea Jacob. She is asking for penalizing Germany for these crimes. Children are isolated from a part of his/her parents or via forced deportation transported into orphan homes or to foster parents and isolated from both parents. In Germany this is called “incognito-care”. The parents are kept uninformed about the residence of their child and even if or not the child is still alive. 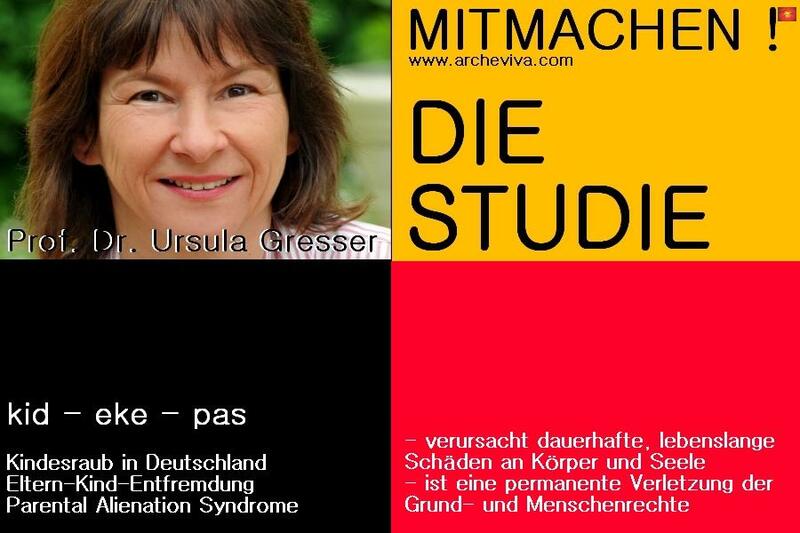 The study of Professor Dr. Dr. Gresser of the University of Munich which is at the moment being evaluated gives evidence to physical and psychic pain of children and their relatives. This results into the statement of facts of torture acc. to article 1 of the UN Convention against torture. These cases are no single cases! Since the year 2008 I have received about 300 opinions of psychologists during my work as a psychologist. Apart from their dreadful quality it shows that these opinions have been set up in an obviously tendentious manner. The content of court documents – especially evidence of facts has veritably been reinterpreted and manipulated, which is also valid for the documents of the Children’s Welfare Office (Jugendamt). This has lead that far that Mr. Franz Romer who is also present today, planned to send to petition to the Committee and was therefore taken to court by a member of the Jugendamt in order to reach an omission of his petition. By the court Mr. Romer was sentenced not to hand in his petition and threatened with draconic penalties if so, which was a refusal of any of his democratic rights. Prof. Christidis has experienced similar proceedings while a member of the Children’s Welfare Office in a letter to his superior tried to withdraw his fundamental rights. The grandparents and teachers in pension Orlowski, who are also present today, were threatened in case they keep informing the public and in case of further demonstration they will never again see their grandchild who has been abducted without any reason. Since that day the father and the grandparents of the baby were not allowed to see the child again. Last not least I would like to inform you that I have assisted the petitioners on the 1st of April last year and that I gave an interview concerning this subject in the foyer of this building. On my way home I received a phone call that three of my grand children have been taken off my daughter for no reason. Due to extensive publicity we were able to return the youngest one. Neither I nor my daughter have seen the other two children ever since. This is a characteristic example for the “well-functioning channels of German politics”.